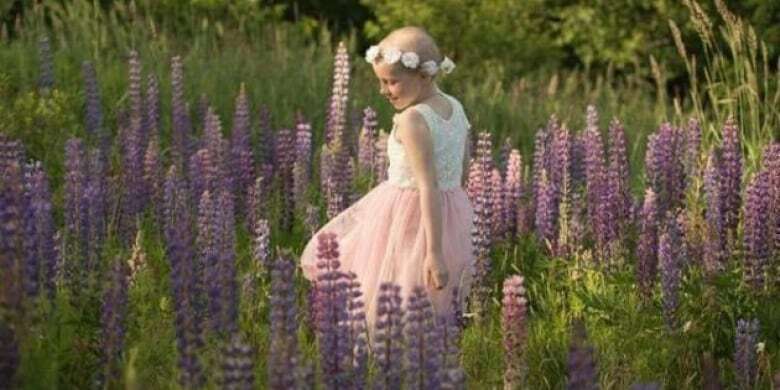 The nine-year-old girl who spent most of her life fundraising for other sick children died on Monday. 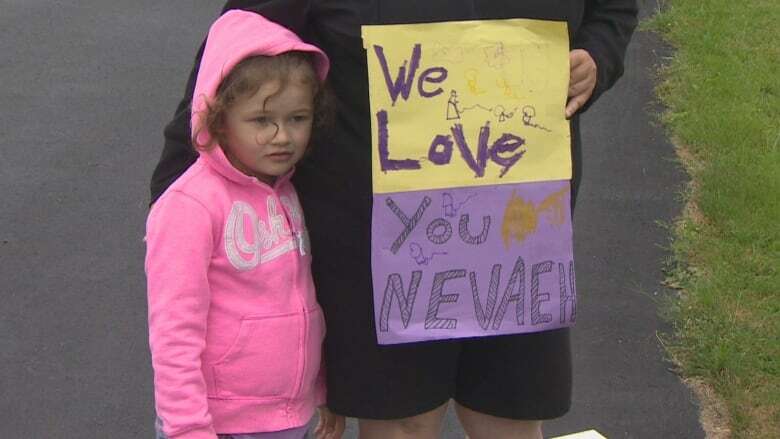 Nevaeh Denine's community was out showing their support, with purple and yellow signs and lemonade stands, as a motorcade preceded the young girl's funeral Thursday morning. 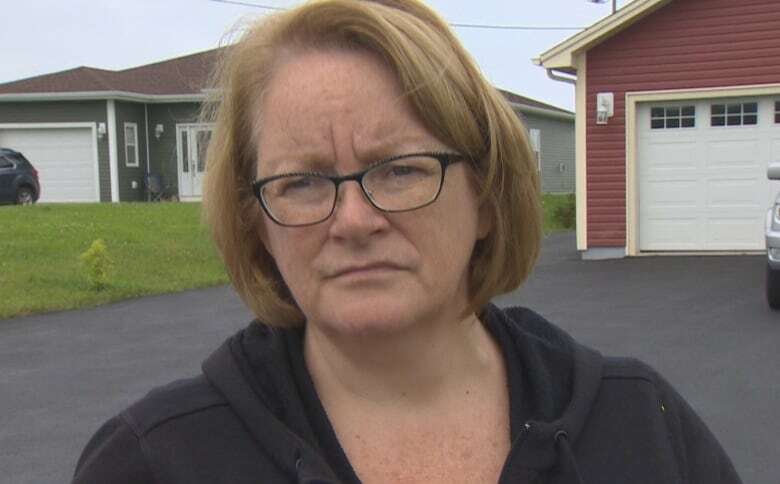 The nine-year-old girl's family asked people heading to the funeral in the Goulds neighbourhood of St. John's to dress in light colours, instead of sombre black, to celebrate Nevaeh's life. Her favourite colours, yellow and purple, have been seen throughout the city since she died on Monday. 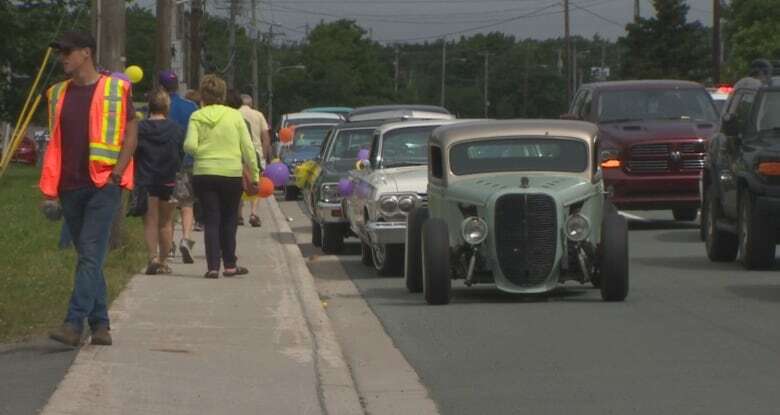 In a post on social media, people are also being asked to wear bright colours and hold signs, while lining the street from the Irving gas station in Kilbride to St. Kevin's Church in the Goulds. A motorcade left Barrett's Funeral Home on Hamilton Avenue around 9 a.m., heading to her 10 a.m. funeral at St. Kevin's Church in Goulds, the town where she grew up. 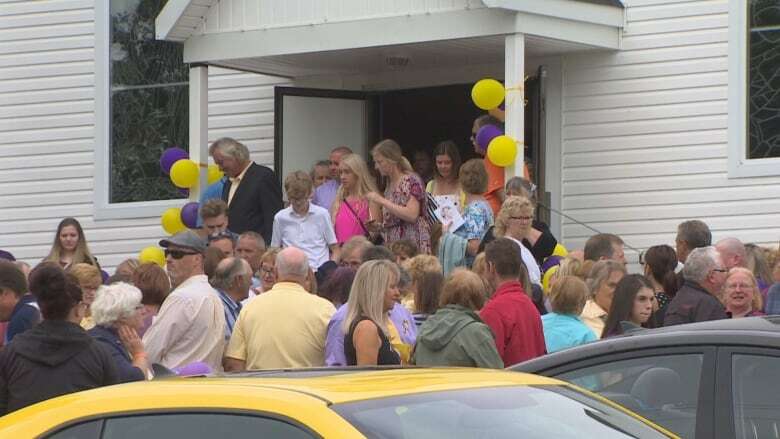 A celebration of life is scheduled directly after the funeral at the church hall, drawing a massive crowd. Along the route to St. Kevin's Parish, people were out lining the streets with signs, streamers and balloons in Nevaeh's favourite colours. Jaxson and Mason Garberg even set up a lemonade stand of their own, something their grandmother said was a fitting tribute. "Nevaeh has touched the hearts of not only everybody in the province, all around the world possibly," said Darlene Garberg. "She taught us all a lot and just as support we're out here today." Also along the route stood Dorothy Pike, with her two granddaughters, holding signs to show their support for the family. "I'm very emotional because it's hard to believe that such a little girl, such a beautiful little soul, had to go through so much," said Pike. "She was an extra special human being and I think even in death her memory will live on and she's going to be something very special and someone that we will recognize forever, almost like Terry Fox." Her son is friends with Nevaeh's mother, Holly, as well as her uncle Jay, Pike said, so she knew about the girl's progress these last few months. "We just want to show the family how much we appreciate everything that they and Nevaeh did for the community in bringing awareness to children's cancer," she said. "Just want to give our love and support, that we do care — everybody cares." But it was difficult to explain the events to her oldest granddaughter Emily, who is four. "I told her that what we're doing is a celebration of Nevaeh's life here this morning, but she wanted to see Nevaeh. She doesn't understand that Nevaeh's gone to heaven to see her daddy." The girl was diagnosed with neuroblastoma​, a rare form of cancer, when she was two, and spent years fighting her illness. While undergoing treatments, she started Nevaeh's Lemonade Stand, which was a way for her to raise money to help other sick children to show her appreciation for the way others helped her. Through the years, the annual fundraiser turned into a massive community event, with giveaways, concerts, and raised more than $100,000. The latest lemonade stand fundraiser was just two weeks ago, with Nevaeh leading the charge. The House of Assembly will be lit up with yellow and purple lights Thursday night as a tribute to Nevaeh. St. John's City Hall and the Convention Centre were also lit up earlier this week in the girl's favourite colours.